Thanks to Michael for his comments on the RZ mask. I have seen pictures of it but had no first hand review to reference. It made me aware that there are a number of similar products available, and perhaps we mentioned some of our experience with those. Perhaps we could put together a reference souce for others. 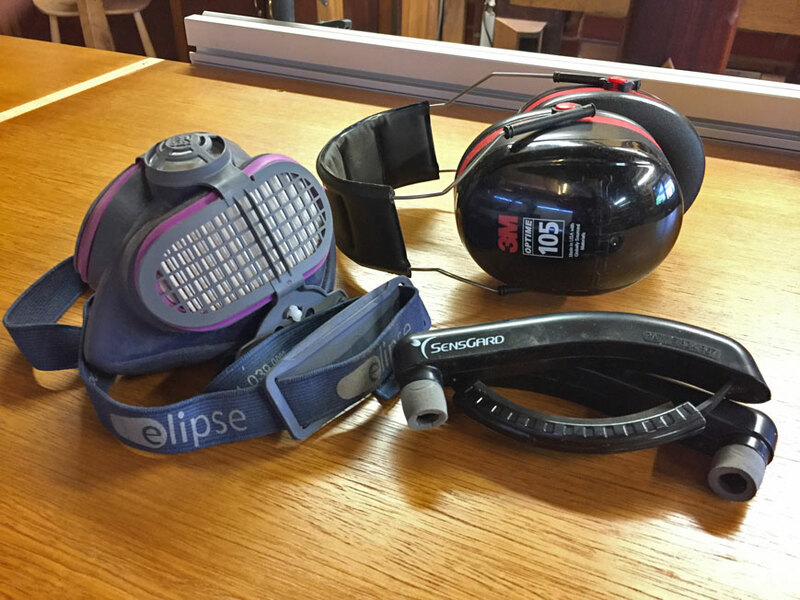 The dust mask I favour is the Eclipse P100. This is light and comfortable. Since Perth is hot in summer (reaching 40+ degrees Centigrade), and my garage/shop does not have airconditioning, a dust mask can easily feel suffocatingly hot. The Eclipse does not. Plus they do not fog up my specs. The only issue I have is that the elastic straps wear out and need to be replaced. The big factor in using this mask is the dust control - it filters out down to 0.3 microns. This is in the range of the dangerous stuff. The 3M Peltor Optime ear muff is the one I use 99% of the time in the workshop. These are comfortable, and protective at 30 dB NRR. It is still possible to hear some speech. The downside is they are bulky and cannot be easily hung around the neck when not in use (I hang them from the end of a tablesaw fence or bandsaw rail). I have two pairs - one when needed at the tablesaw and another when near the bandsaw/dust collector. My travel ear protection, for woodshows and club demonstrations, is the SensGard SG-31. This has a Noise Reduction Rating (NRR) of 31 decibels. It is great that it folds up (the Peltor are too bulky to carry around), and it handy as it can be hung around the neck when not in use. I am just not mad about having to twist the plugs into my ears. I find them fatigueing after a short while. I prefer not to have ear protection that plays music as this can distract. I have experimented with wireless earbuds, in paricular the Jaybird X3. The sound is good, but they lack noise cancelling and this is apparent (not in the same league as my Bose QC20, which have noise cancelling, but are too dangerous as they connect with a cable).